Original poem by Gail Gardner set to music by Murph and his band in Red River, New Mexico. Flying SL Ranch Radio “Cowboy” music, poetry, horse tips and much more! Christmas is a season of tradition, and no one knows that better than Michael Martin Murphey. The iconic, horse loving musician has worked diligently to keep alive the spirit of the first Cowboy Christmas Ball for more than two decades. 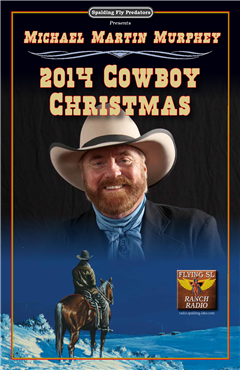 This year, he launches into the next 20 years with his popular Cowboy Christmas Tour. 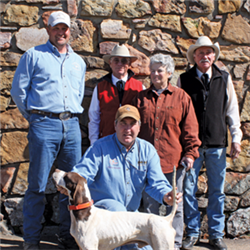 Sponsored by Spalding Labs the leading natural fly control company, Murphey and his acclaimed Rio Grande Band will spread Holiday Cheer through nearly 20 cities including a stop in Anson, Texas, where the Cowboy Christmas Ball originated in 1885. “The first time I came to the annual Cowboy Christmas Ball in Anson, Texas, where the community has celebrated the holidays with this event every year since 1934, I was floored that the community had worked so hard to keep it going,” Murphey said. “I fell in love watching the older couples dance and the dances being passed on to the younger people. It reconnected me to the tradition.” That tradition began on Christmas night, 1885, when arriving in Anson, Texas native New Yorker Larry Chittenden chronicled a dancing spectacle unparalleled in those days by composing the rhythmic, rollicking lines of The Cowboys’ Christmas Ball, a six stanza verse that is still remembered and anthologized in print and song. Modeling a show after the annual Anson event, Murphey took the celebration on the road, and has over the past two decades, performed the ball in such prestigious venues as Bass Hall (Ft. Worth, TX), The National Cowboy and Western Heritage Museum (Oklahoma City, OK), the National Hispanic Cultural Center Journal Theater (Albuquerque, NM) and The Performing Arts Center at Texas A&M University (Austin, TX). As Cowboys Christmas new sponsor, Spalding Fly Predators is proud to be joining Michael in this cherished holiday celebration. 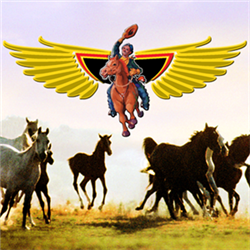 Per chief fly guy, Tom Spalding, "We've been helping horse and livestock owners keep their facilities fly free for over 39 years. 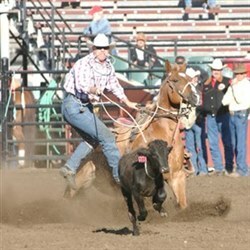 Michael's passion for ranching and horses makes him the perfect partner in our quest to spread the word about enjoying the cowboy lifestyle without flies. 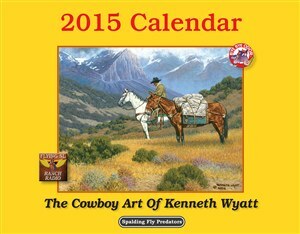 Concert goers can receive a free copy of our 2015 calendar featuring the gorgeous paintings of renowned Cowboy artist Kenneth Wyatt, and they'll be treated to an onsite traveling display featuring Kenneth's paintings as well." To register to win 2 VIP concerts tickets to a Michael Martin Murphey show when he is in your area click here. 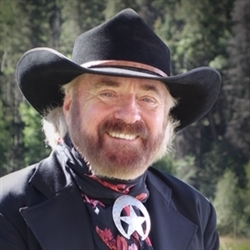 See the newest Michael Martin Murphey video we've done in our video section. 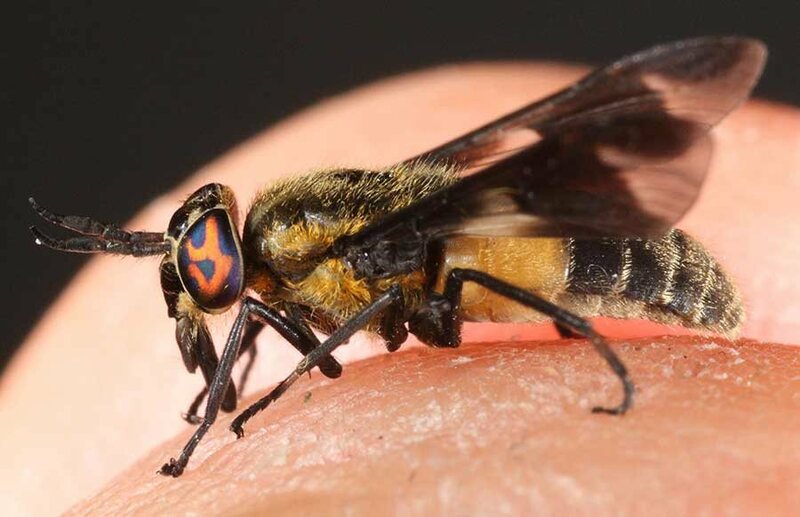 Deer flies are water breeders and can travel long distances, making them impossible to control in their larval stages. However, there are a few ways to help keep them away from you. BugPellent Gel is a good repellent if they are bothering you while out riding. If they bother you more in a specific spot, such as near a pool or in a back yard, etc., then a trap may be another way to go. There are traps that you can build yourself. You can search online for plans to build the home made version by searching for Manitoba Trap. For deer flies, another trap that works pretty well is to get something like a kickball and paint it blue (deer flies are particularly attracted to blue), then cover the ball in a product called Tanglefoot (you can usually find this at places like HomeDepot), then hang the sticky blue ball in a tree near where you spend time. Deer flies are also referred to as yellow flies or stouts. They can be pests to cattle, horses, and humans. They are similar in size and appearance to the housefly less their characteristically gold or green eye pattern. Deer flies are smaller than most wasps, have the colored eyes and dark bands across their wings. The female deer flies feed on blood and the males collect pollen. The females use knife-like mandibles and maxillae to make a cross-shaped incision and then lap up the blood. Their bite can be painful but sometimes their bites are not noticed at the time if the victim is distracted. Allergic reactions from the deer fly saliva can result in health concerns. Pain and itch are the most common symptoms. More significant allergic reactions can develop. Being water breeders, deer flies are most often found in damp environments like wetlands, bogs, or forests. The natural predators of the deer fly include the nest-building wasps and hornets, dragonflies, and some birds like killdeers. 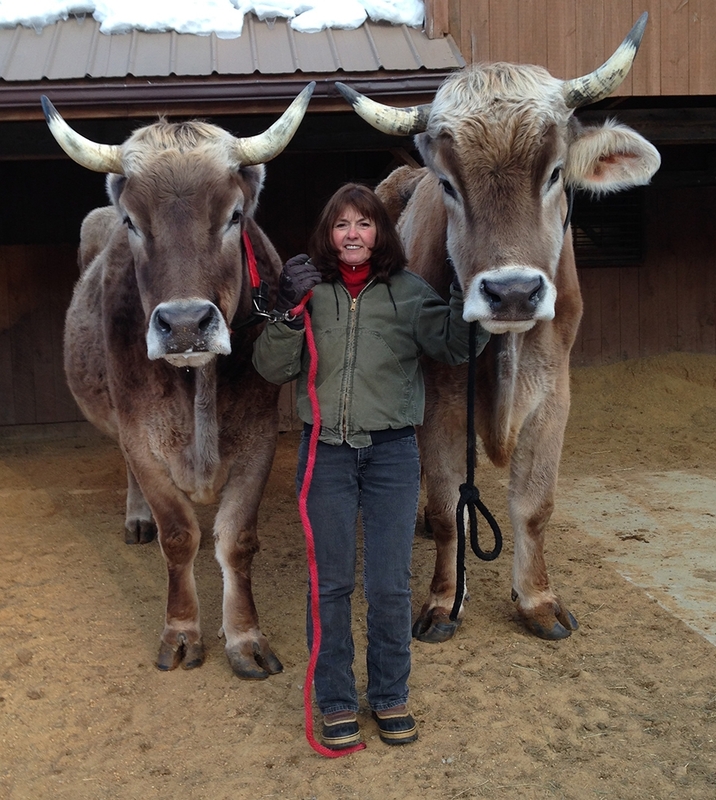 Customer Spotlight Kathy and Her Oxen 4! "We and they love your Fly Predators. 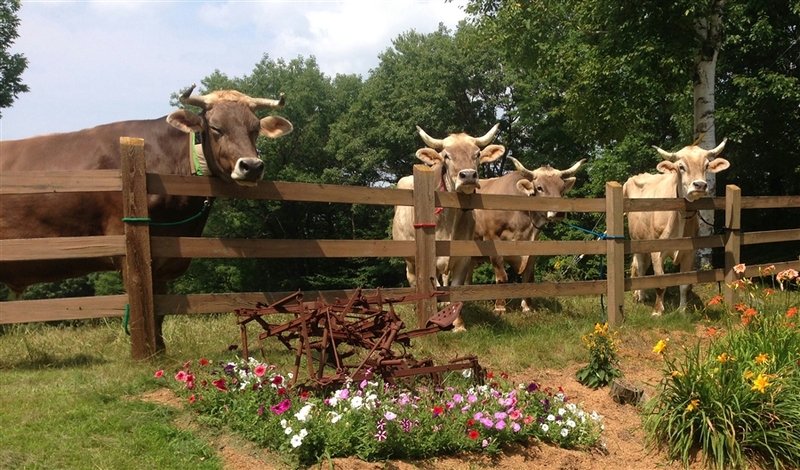 No annoying flies around the manure in the barn or even in our house." says happy Fly Predator customer Kathy S.
Thanks so much for sharing these terrific photos with us! You can read more wonderful customer testimonials close to home on our Customer Quotes Near Me page! It is a common and widespread belief that horses, being a flighty prey species, automatically fear predatory species. It seems logical to believe this. The horse is a prey species. It is a grazing creature that, in the wild, always lives in herds on grasslands. It evolved millions of years ago surrounded by hungry predators mainly of the dog and cat family. This included wolves, lions and saber-toothed tigers. Unlike many grassland prey species, such as wild cattle, sheep, goats, rhinoceros, and elephants, the horse is equipped with neither horns nor tusks. Its primary defense is flight. 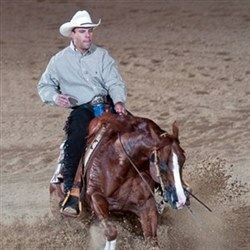 The horse’s anatomy and its physiology are designed to sprint from perceived danger. What precipitates flight is the perception of predation, not the presence of a predator. I had seen wild horses that had never had human contact panic when a man first approached them in a pen. That seemed “normal”. In time I observed that when such horses were approached by children, or most women, they were less inclined to panic. Why? 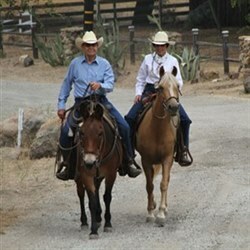 Similarly, when such horses were approached by a friendly, casual ranch dog, it did not result in blind flight. Weren’t dogs predators? The stalk. Watch a Border Collie working sheep, or watch a lion beginning a hunt on “Animal Planet” T.V. First the predator crouches, stationary, and fixes its eyes upon the prey. Then it begins to move, very slowly, methodically, working closer to the prey. All cats, for example, are short winded and must get reasonably close to their prey before they charge, if they are to successfully get a meal. Given advance warning, horses are able to outrun most predators. The Charge. When close enough in the predator’s judgment, it will chage and attack its prey before escape is possible. The predator is not consistently successful. If it perceives the predatory behavior in time, the horse is often able to launch into flight, escaping the hungry predator. So, unfamiliar things coming towards the horse may be a predator and elicit flight. I have been twice on veterinary safaris to East Africa. There one will see lounging prides of lions, a short distance from grazing herds of zebra, a close relative of the horse. As long as the lions are resting quietly, the zebra, always aware of the lion’s presence, do not flee. But, if a lion arises and stretches, the zebra focuses on it. If the lion then casually moves away from the zebra, they go back to grazing. If, however, the lion crouches, becomes motionless and stares at the zebra, they immediately prepare to flee. I noted, long ago, that when stallions want to propel their range herd of mares and youngsters into flight, they assume a predatory stance. They lower their heads, crouch, and fix their eyes upon their “quarry”. This motivates the herd into flight away from the predatory behavior even though that behavior is being displayed by a fellow prey animal – a horse. Thus I learned that horses do not fear predators. They fear predatory behavior, the stalk and the charge. So anything unfamiliar to the horse that is stationary is alarming. It might be just a trash can, or a discarded box, or a rock that somebody painted their initials on, or a resting animal that it has never seen before like a pig or a llama – anything! This is why horses may shy at an unidentified stationary object. It isn’t stupidity. It is nature’s wisdom. In its natural environment in the wild, this is how horses manage to survive. 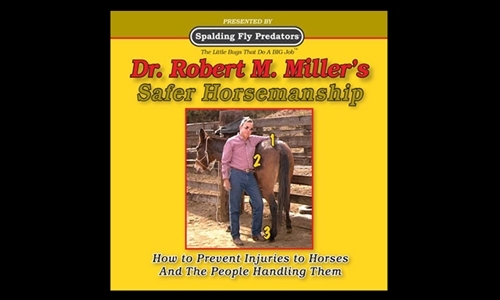 Similarly, anything unfamiliar, unidentified that moves towards the horse, may be identified as predatory behavior, and for the horse, the best way to escape a predator is by flight. If we respond to such behavior by inflicting pain, as with the whip or spur or violent reining, we establish permanent fear of whatever caused the “spooking”. So if a horse shys at a sheet of paper on the trail, it is thinking “I see an unfamiliar stationary thing. I had better run away from it or it may hurt me”, and then if we hurt the horse, we have confirmed its fear. And, horses don’t forget. Horses with poor memories did not survive over the millions of years. If an unfamiliar object comes towards the horse, say a kid on a bicycle for the first time, or a hiker with a big backpack, or a golf cart, or a tumbleweed, the horse’s natural reaction is flight. It’s not stupidity. It is nature’s wisdom. It’s the key, for a horse, to survival in the wild. Horses can be desensitized, with amazing speed to any sensory stimulus, no matter how severe, providing that it causes no pain. Thus horses can become oblivious to the loudest noise, the strongest smell, the sight of anything no matter how vivid, and the touch of plastic sheets or electric clippers, or ropes on its body, and even a tiger riding on its back. That’s why horses were so vitally useful to mankind for so many millennia in warfare. Once we accept the concept that horses do not automatically fear predators but they do fear predatory behavior unless they are methodically and properly desensitized to it, we can understand how to best get along with and communicate with horses. We will discuss such methods of desensitization in a future article. Since horses have infallible memories it should now be obvious how important the first experience of any kind will be to a horse, regardless of its age. The first experience with people, dogs, cattle, curry combs, electric clippers, wheelbarrows, flags, halters, bridles, saddles, foot trimmings, fly spray, motorcycles, crossing a puddle of water, whatever, will be remembered forever. If that memory results in what we regard as an unsatisfactory response, it can be changed. However that requires skill, experience, patience, persistence, and empathy. Anger, impatience, and violence will worsen the problem. Now you can see why determined, aggressive rapid movements and a fixed gaze on a completely green horse causes the horse to regard us as a predator, whereas a casual relaxed, soft approach, halting and even retreating if the horses reacts in a frightened manner is the best way to initially introduce a horse to anything new. Retreat is non-predatory. Later, after the horse accepts the new experience with the indifference, then you can gradually increase the intensity of the experience. As long as it doesn’t cause pain the horse can accept it. 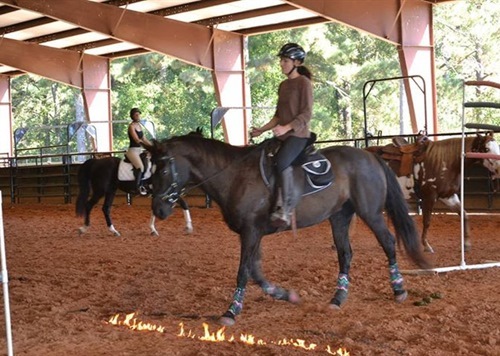 Horse training consists simply, of giving horses a choice between comfort and discomfort. The discomfort can be mental or physical and it can be quite mild. It does not have to be severe. The ultimate goal should be 100% respect and response, but zero fear. It can be done. 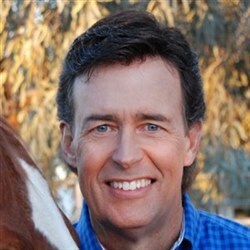 Dr. Robert M. Miller discovered Pat Parelli at Bishop Mule Days when he was not yet 26 years of age. Dr. Miller recalls witnessing a young man loudly explaining to a small group of perhaps a dozen people how he was going to mount a mule colt and ride it for the first time. "This ought to be good" Dr. Miller thought to himself, and stopped to watch the show. 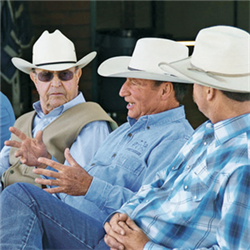 A half an hour later he returned to his camper where his wife, Debby Miller was taking a break and told her, "I want you to come see this young guy working with a colt. I have never seen such natural talent in my life." After Pat's demonstration was over Dr. Miller introduced himself. "I know who you are." Pat said. "You work for Western Horseman Magazine." Dr. Miller collected Pat's contact information and on his way home, got an idea. 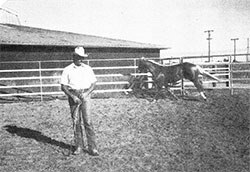 Dr. Miller pitched the idea of an article for Western Horseman Magazine to Pat on his colt starting technique. Pat was delighted. The article turned out to be a series of three in three consecutive issues titled, "A New Look at Same Old Methods." The series launched a demand for Pat's services, and the rest is history. 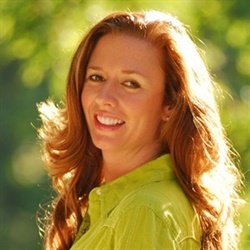 You can read Dr. Miller's 3 part series articles "A New Look at Same Old Methods" here.